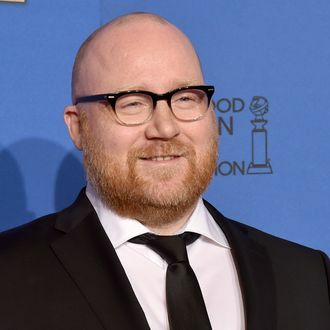 Composer Jóhann Jóhannsson has died at the age of 48, having reportedly been found dead at his Berlin apartment on Friday. His manager confirmed his death. Jóhannsson was a celebrated film composer, earning an Academy Award nomination and a Golden Globe win for his work on 2014’s Stephen Hawking biopic The Theory of Everything. In addition to his own solo work, the Icelandic musician frequently partnered with director Denis Villeneuve, composing original scores for Villeneuve’s Prisoners, Arrival and Sicario, for which he received an Oscar nom in 2015. He also consulted on The OA, Darren Aronofsky’s Mother! and the upcoming Nicolas Cage film Mandy. The cause of Jóhannsson’s dead has not as of yet been made public.